The Los Angeles Unified School District's recent decision to provide each of its 600,000 plus students with an iPad makes sense. The technology drumbeat is growing louder and louder. Training children to use the tools of their future is a must, and the LAUSD is smart to take a proactive approach. But as the technology revolution proceeds in the classroom, a critical piece of the equation must not be overlooked: the effect on the home. The iPads that L.A. school kids will receive are not going to sleep in a school locker at the end of each day. The iPad is coming home. This new reality is a wakeup call for school districts and the families they serve. School districts must do more than just pass out iPads. They must also prepare families for the revolutionary nature of these boundary-blurring devices. The fact that they are issued by the school district puts parents in a difficult spot because they have to manage a device that they do not own and whose purpose is being dictated by others. They increase "screen time" -- the time kids are engaged with digital technologies. They blur the distinction between tool and toy -- it will be harder to know if kids are studying, playing or socializing. They complicate the challenges of keeping kids safe online. They change the way parents establish rules and set limits. When a device is necessary for school, parents are less able to use technology as a carrot or a stick. They require parents to respect school rules regarding the acceptable use of technology, rules that might conflict with the delicate balance that families have already established for technology in the home. They ask parents to respect school values about the role that technology should play in their child's life -- values that may be odds with their own. Most critically, they may require parents to take an entirely new approach to their parenting as well as to the technology. Parents did not grow up with laptops and tablets, and certainly not ones that were school-issued. Thus, parents may lack the necessary perspective to know what to encourage and what to limit with the devices. School districts need to resist the temptation to charge ahead with laptop and tablet programs without allocating sufficient time and resources to partner with parents during the bumpy multi-year transition. I have worked with many parents whose home lives are disrupted by arguments, distraction and late-night disputes over the use of school-issued digital devices. For these parents, the emotional cost of an iPad far outweighs any benefits. These are the kinds of headaches that dull parents' ability to get on board with 21st century learning. 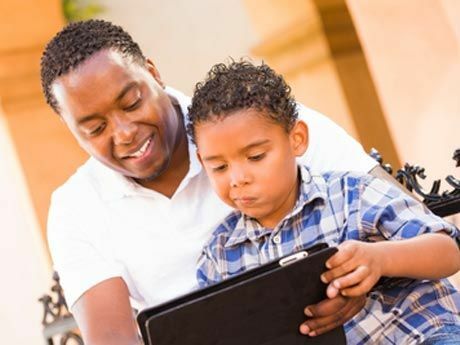 For school districts to be prepared for these challenges, they must provide adequate resources to help families understand the importance of new digital technologies to a child’s success in school and beyond. This is easy to note, but hard to carry out. When school districts spend their limited resources on technology like iPads, they are vulnerable to criticism and may act defensively rather than recognizing the need to support understandably anxious parents. There is no easy formula for how school districts should go about attending to the home environment. Nonetheless, there are steps that can be taken. Holding parent education forums (both online and offline) is critical. Thoughtful policies to promote a good relationship among parents, children and schools (in the form of specific contracts to help sort out expectations) are also important. Clear documentation explaining the logistics of the program (insurance policies, responsibilities and who to contact with issues or concerns) is a necessity. Input from other schools, parents and teachers who have successfully navigated this terrain helps to relieve anxieties and focus the dialogue. And, at the heart of the matter, the schools must stay focused on people and not the technology itself. All of the dilemmas created by blurred boundaries between home and school are best faced through trust and stronger relationships. The bottom line is that schools need to be proactive to help parents navigate this new terrain. The district should clearly explain the challenges and benefits of digital learning to parents, and provide them with suggested guidelines to follow in a supportive home structure. Schools need to assume the attitude that laptop and tablet programs are complicated for all families, and live by the credo "we are all in this together." They must understand that learning in a digital environment creates a bridge between home and school that is unprecedented and requires a new level of collaboration. Only then can the best interests of parents, students and, ultimately, the entire school community be served.